MyWebby is extremely focused on precision and client satisfaction; besides, when it comes to meeting the deadlines, MyWebby delivers the goodness on or ahead of time, thoroughly reviewed by skilled eyes. We define the benchmark of digital artistry. 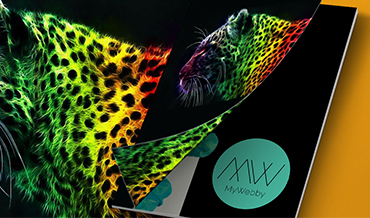 MyWebby dares to break out of the conventional patterns and put the imagination to work, hence producing the most extraordinary digital artwork which is guaranteed to amaze. The heart and soul of MyWebby is creativity and eminence. 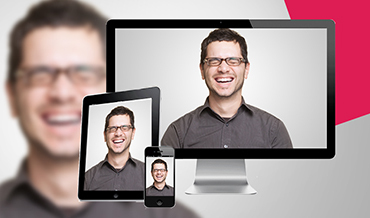 Custom-made designs are integral part of MyWebby. We take care of the requirements that are specific to your business and marketing needs. We offer a comprehensive line of trendy designs that are buzzing. 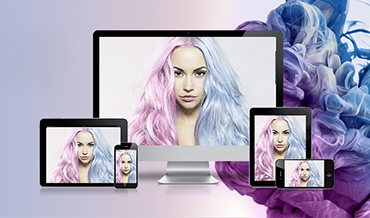 Whether it’s general sites, eCommerce sites, responsive websites or mobile apps, our highly skilled and creative design team carefully craft visually stunning online experiences that engage the viewers naturally and effectively. Our development team provides services with State-of-the-Art technical foundations to craft and deliver industry-leading websites and audience-engaging mobile Applications. We do offer a wide array of Print Marketing materials from Business cards and Brochure design to trade show displays and catalogues etc. that will establish your company’s brand and provide an effective communications strategy that can reach out to your key audiences with targeted messaging. We see branding as an indispensible business identity, and we are extremely conscientious about each and every aspect of it, starting from the logo to its internet presence; we ensure creative uniqueness and commanding aesthetic that let your brand shoot high up. We have a brilliant crew of photographers and an ultramodern studio with equipment worth thousands of dollars to take your photography needs to a whole new level, guaranteed to flabbergast you and your audience. We are very careful about our photographic approach to confirm flawlessness in every pixel that our cameras take. Graphic design is the key that defines your brand identity with visual messaging and the artistic communication of thoughts and concepts. MyWebby has the profound knowledge and skill in this genre that allows us to deliver exclusive visual branding, logo design, web design and anything that falls in. We take great care to provide you with startling results, every time. MyWebby will challenge your ideas and make them even better. One key thing I liked about working with the team is that they works as if they owns the product, work with passion and tirelessly. MyWebby is great! MyWebby possesses few of the very best graphic artists. I had the pleasure to work with Patrycja. She works fast, with an amazing eye for detail and always comes up with original and high quality results. A nice personality with an impressive talent. MyWebby artists worked with us for several months delivering images for our blog and social media presence. The images were always excellent and Patrycja was a pleasure to deal with.